I'm revealing my secret weapon in staying glam and keeping organized. 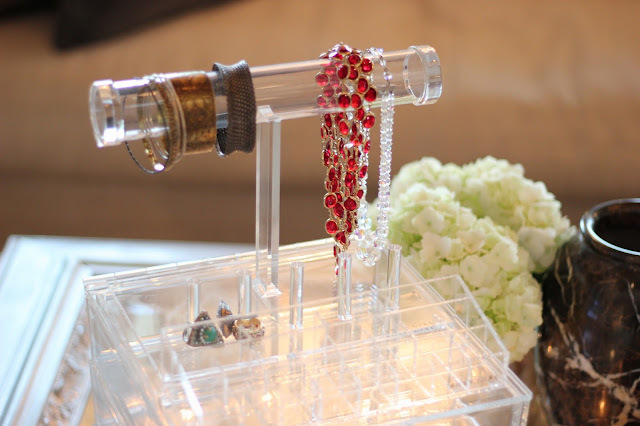 Being organized is in my DNA; I get a sense of relief when I get something clean and tidy. 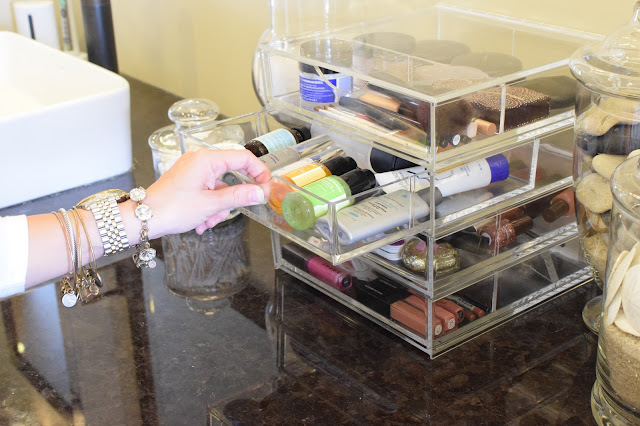 My beauty items like makeup, skin care, and nail polish were spread between my medicine cabinet and two drawers in my bathroom. I was never happy with how they were spread out. I was thrilled to try out Boxy Girl to display and organize all of these items. I was shocked at how much the four stackable drawers held and I even have a bit of room to spare (shopping opportunity!). Not only does the Boxy Girl have a large capacity but it's also extremely versatile. Each drawer is stackable but not permanently connected so you can lay them side by side of divide them however you see fit. 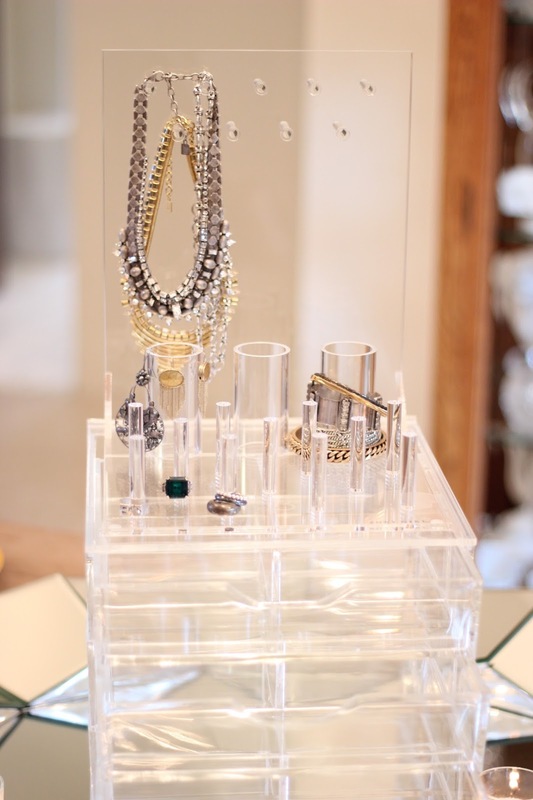 I may even try separating them and using the drawers for other uses like jewelry and children's accessories. 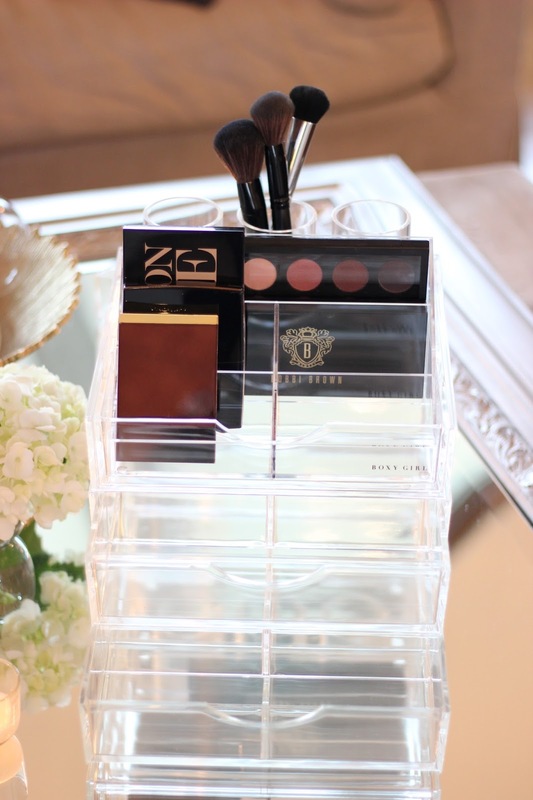 I think the lid on top is a nice extra touch; the items inside stay clean and it just adds a bit of luxury. I was also impressed with the quality of Boxy Girl. It's like a piece of furniture for your vanity. 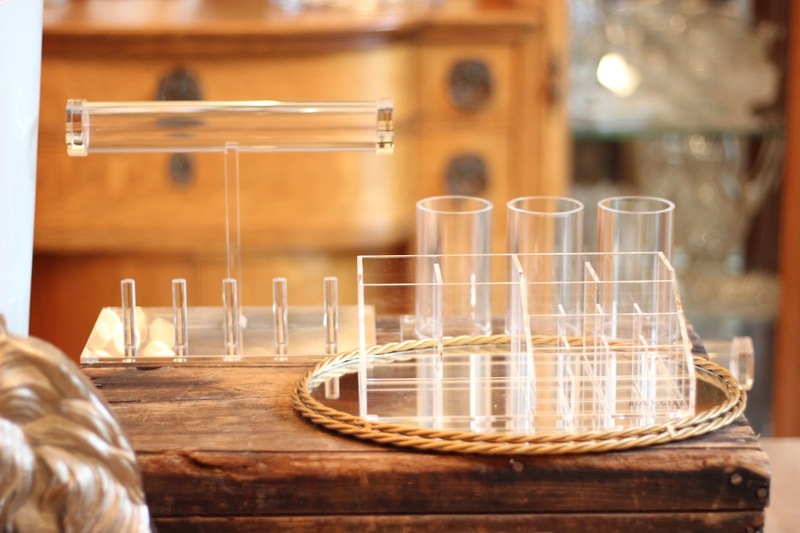 It's crystal clear and durable because it's made in an injectable mold with Lucite Acrylic. The Boxy Girl is extremely sturdy; I was surprised by the weight of the box. 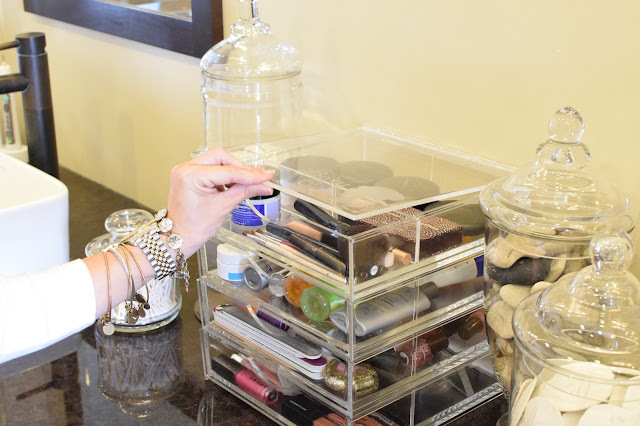 Other vanity organizers are made of cheap plastic, are foggy, glued together, bulky and just too expensive. 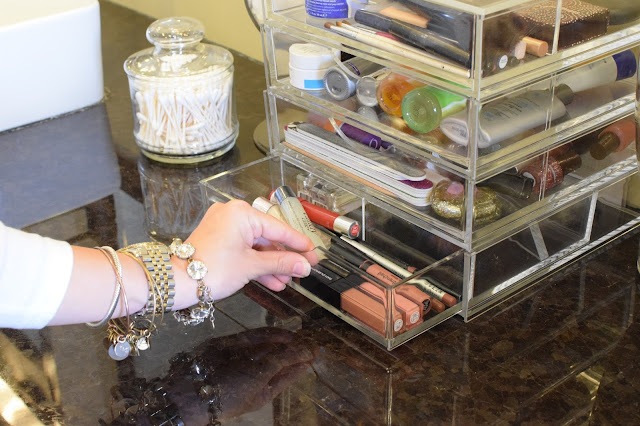 My Boxy Girl keeps all my beauty items within reach all in one beautiful spot. I love when I'm getting ready that I'm not digging through cabinets and drawers looking for what I need. My day to day makeup routine is featured here and in real time was just under 5 minutes; being organized helps keep the routine quick and easy. I also had the pleasure of viewing the latest products from Boxy this week and they are now live on the site. I am so in love with the new options for your Boxy. 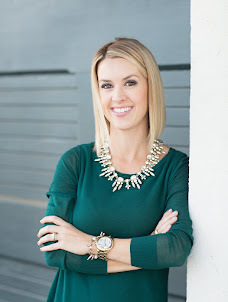 Hannah and her team have spent over a year developing the highest quality items that take your Boxy to another level. 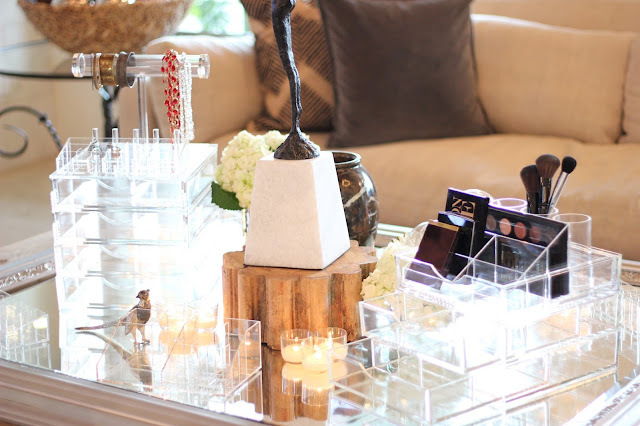 The newest items expand the Boxy making organizing your vanity a beautiful piece of art. 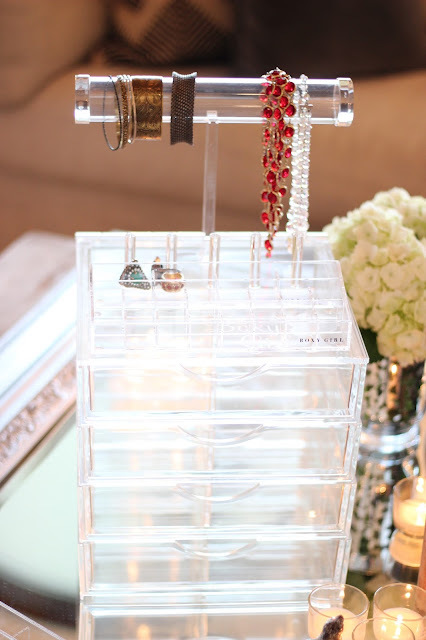 The new items fit in or on top of the Boxy and organize your jewelry and makeup in a more stylish and efficient way. So now you know my secret to staying glam; by being organized with Boxy Girl!!! Boxy Girl received in exchange for this post. As always all opinions expressed are honest and my own.